Britain First - who claim to be a "Christian Group" yet fail to display and actual Christian Values - have been "Denounced By Every Major Christian Denomination In The UK." "Hi-jacking the name of Jesus Christ to justify hatred and spread fear". 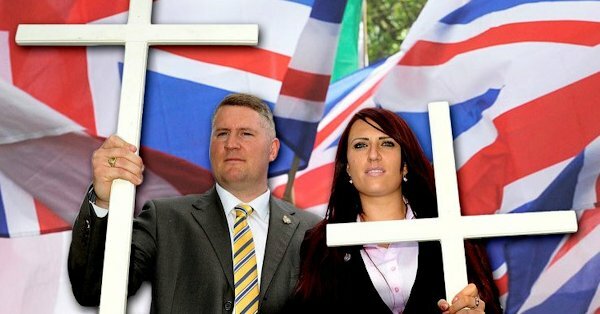 Golding and Fransen of Britain First, with crosses. How very KKK. "Let's get this straight. Britain First do not speak for Christians. Their message of hate is entirely at odds with the Christian faith." 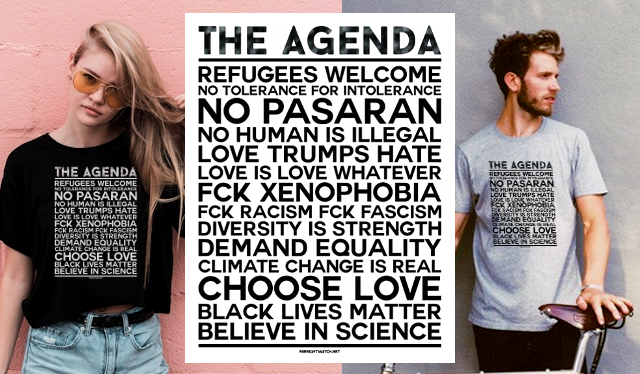 .. and even if you're not a Christian, these are pretty good rules to live by. .. and by the way, the basic teachings of Islam and Judaism are exactly the same message. Britain First's view of Christianity is a Fight To The Death with Islam. How very medieval. And they accuse Muslims of living in past centuries? The Crusades are over, chaps. Welcome to the 21st Century. Full story at The Huff.